Today many cable and termination manufacturers are creating alliances in order to establish a perfect marriage between cable and termination. With agreed upon standards of manufacturing and installation these vendors can offer warranties never before thought of. 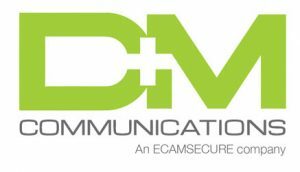 D & M Communications, Inc. has partnered with the industry’s premier manufacturers. Our installers undergo regular training to stay current on all BICSI and manufacturer standards for the exacting tolerances of today’s high-speed infrastructure networks. With certifications for SYSTIMAX, Uniprise, and CommScope installations, as well as the BERK-TEK / ORTRONICS – NetClear solution, D & M Communications, Inc. can offer the manufacturer’s warranty on your data network cabling. Don’t trust your company’s infrastructure to just any cabling company. Use the cabling contractor that many of Southern California’s Fortune 500 come back to again and again.